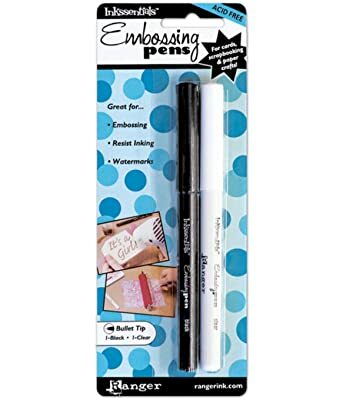 Ranger Embossing Pen – This is an embossing pen that fits perfectly in the Cricut Explore. 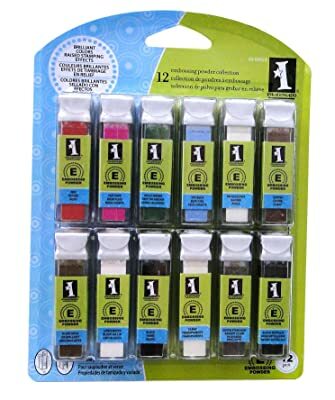 There are two pens in each pack, a clear pen, and a black pen. The clear won’t show up in the background, but if you do want a darker background, use the black. Embossing Powder – This is the powder that you will apply on top of the embossing “ink”. You can either buy a bunch of different colors in a bundle or buy individual colors. I like to buy the bundles, as I don’t always know what color I want. Heat Gun – This will provide the heat to melt the powder to the embossing ink. This can also be used for drying paint, shrink wrapping, and lots more uses. Now that we have gone over the required materials, we can now start embossing. See the video or follow the directions below. Insert the embossing pen into your Cricut Explore, where you would normally insert any colored pen. Start printing! If you are printing with the clear embossing pen, you won’t be able to see it while the Cricut is working. Once done, remove the material and generously sprinkle the embossing powder onto the material. Use a paper underneath to catch the powder, so that you can funnel it back into the container and not waste any excess. Use the heat gun to melt the powder to the material. Once the powder is melted, it should look shiny. Make sure you don’t overheat. 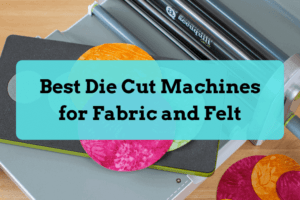 What have your experiences been embossing with the Cricut Explore? Leave us a comment! I dont’ think so, it will just blow the powder off. You can use a flat iron. Turn to coolest temp possible while letting it still work (otherwise paper can curl), so you may have to play with temp a little. Remember not to clamp down on the flat iron lol. What do you use as a pen adapter? A pen adapter should have come with your Cricut. If not they are available at craft stores that sell Cricut. Though I have not purchased an embossing pen, an adapter came with the stylus pen I purchased. 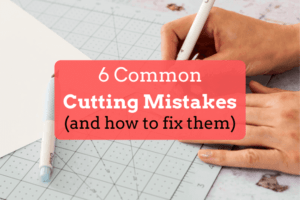 Can the pressure for the embossing pen be adjusted on the Cricut Explore Air 2? There’s one area of my design that I made in Design Space that I cannot get the embossing pen to emboss? I’ve tried different weight paper. Do these pens dry up quickly? I always put the cover on immediately when taken out of the machine.